Cabinetry, Countertops & Flooring for any lifestyle! 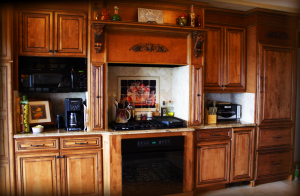 At Fleming Island Home and Kitchens, we have been working in new construction and remodeling since 1970. Our expertly trained and experienced staff are well versed in all phases of construction and design. We challenge you to let our team of professional craftsmen take your project from planning and design to final completion. Our priority is to make the construction experience less stressful by communicating and working closely with the homeowner. Fleming Island Home and Kitchens will tackle almost any project, which is why many of our customers call us, “Fleming Island Everything”. For a free estimate, call (904) 284-4231. And much more! Just ask!